Diehard skiers view the arrival of springtime with trepidation. Every time the sun sets, they are one day closer to the end of another season, with the endless sweltering days of summer looming on the horizon. ’Tis true, but the lengthening days also bring epic dumps of powder, prolonged sunshine, and a feeling of frivolity to skidom as kegs are tapped in parking lots and lawn chairs bespeckle base areas. Take advantage, before you toss your gear in your closet. Head back to the mountains to these three spots that offer some of the best spring skiing (and snowboarding!). What do 430 annual inches of snow get you come spring? Wolf Creek’s Sarah Stephens says epic skiing on Alberta Peak. It’s an expert slope located at the end of a 25-minute hike from the top of the Treasure Stoke lift. Up top, surrounded by the San Juan Mountains, you can point your tips in a variety of directions and hit steeps that fall toward a never-ending wall of trees. Sip (water), ride (the Treasure Stoke) again and repeat. 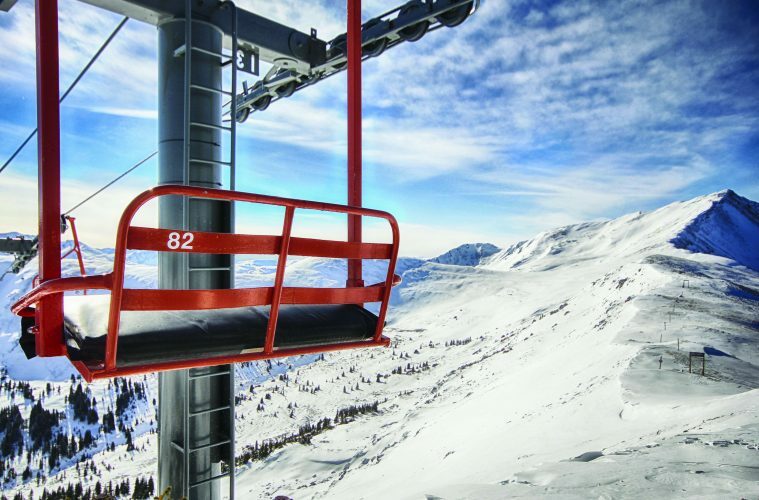 A-Basin is skiing’s answer to spring break. The resort’s Adrienne Saia Issac says take the Pallavicini Lift located right off the main parking lot to steep runs. That lot’s known as the Beach—where the faithful grill, sip suds and dance between runs. Unloading Pallavicini, hang a left and head into the expert terrain of North Glade and International. This ungroomed area offers a mixed bag of trees, moguls and rock outcroppings—plus the north-facing terrain holds the snow for days Just make sure you look good for the spectators on the Beach as you exit. Powder lingers in Copper Bowl long after the spring equinox (March 21). Located just behind Copper Mountain proper, this steep and wide-open bowl offers a myriad of legitimate lines. Hit trees, chutes, and bumps via two lifts and a free snowcat. The mountain’s Taylor Prather says the best time is in the early afternoon, when the sun hits the south facing slopes, softening them up. On bluebird days, you can soak up breathtaking views of the Ten Mile Range all the way to the bottom. Access the bowl from the top of the Sierra or Rendezvous lifts—one half of it is rated expert. Road Trip: 2018 Toyota 4Runner TRD Review The Best of Breck Deep Winter Adventure Open Season The December Issue is LIVE!